I'm a nature nut. Trekking in a real, old rainforest has always been something I wanted to do, ideally spotting some wild animals too. That's why I went to Sabah, Borneo last week. First thing I found was that a big part of the place was either already developed (into a town) or occupied by agriculture (palm oil). 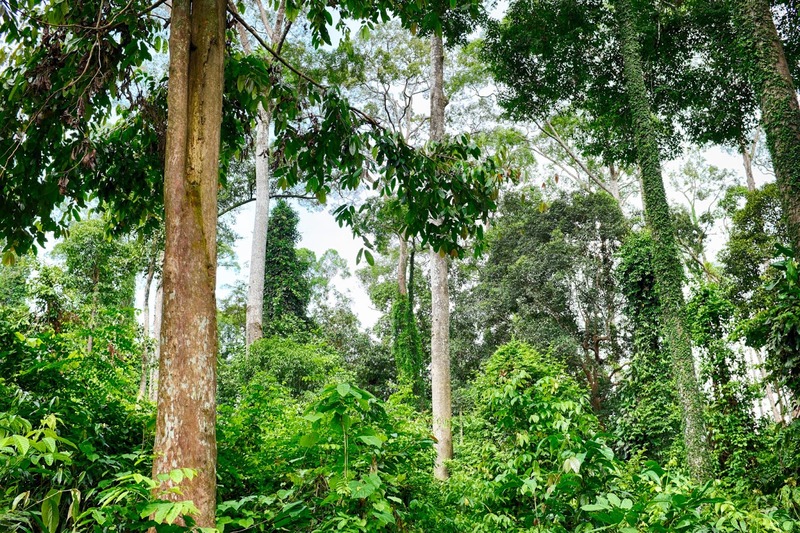 Of course the people need to live somehow, but it also means that the days when an orangutan could swing from tree to tree all across Borneo are gone. 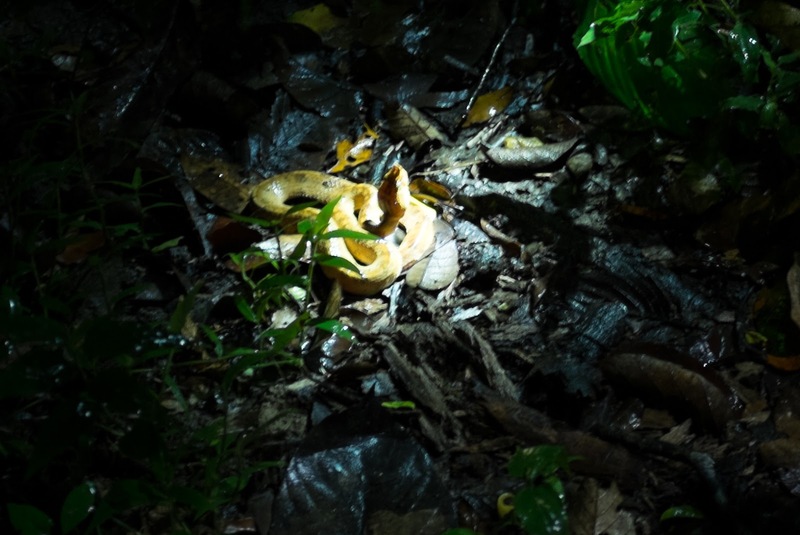 A night walk in the forest around our accommodation gave us a chance to see a few sleepy birds (so sleepy, in fact, that they didn't even care about flashlight or camera flash), insects and a deadly yellow viper. Leeches, which I expected to show up without fault, did not actually arrive. Maybe they don't like my kind of blood. Next day I went to Sepilok Orangutan Conservation Centre and saw a bunch of orange flurry apes swinging their way to grab some free bananas during feeding time. On the way out, there was a green pit viper, the kind that can see heat as well as ordinary light. 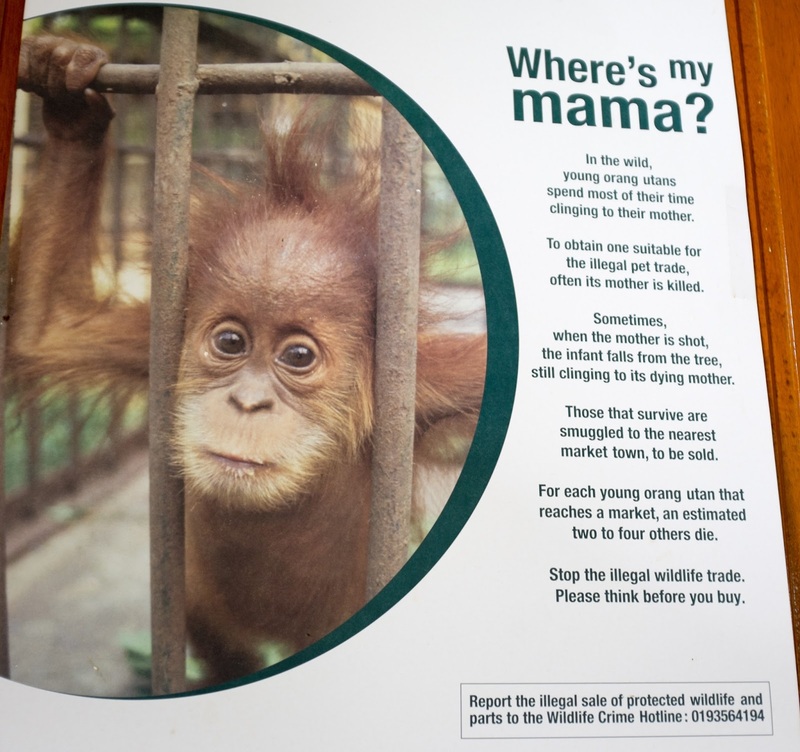 The Conservation Centre is actively trying to help orphaned orangutans to survive and return them back to the wild. And since I love the nature and would like them to thrive again, I made a donation/adopted one. Next to the SORC, there is also a Rainforest Discovery Center where people can have a light trek in a limited area of real primary rainforest. That is also pretty amazing, mostly due to the huge trees which form different levels in the forest for different kinds of animals.